"Today, the rate at which we are cracking down on this crime is nothing to be proud of. Note that the FBI reports about seventeen thousand murders every year in the United States. Not surprisingly every police department of any size has a homicide unit. Now compare that situation to the fact that the government says about seventeen thousand people are trafficked into slavery in the United States every year. When it comes to murder, more than twelve thousand of those seventeen thousand homicides will be "cleared," that is, solved and brought to trial. How many slavery and trafficking cases were brought to trial last year? Slightly over one hundred. Imagine the public outrage if America's police could solve only one hundred murders a year out of the seventeen thousand committed! 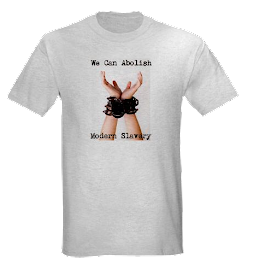 The day will come when most police departments have a slavery and trafficking unit next door to the homicide unit, but every day that passes until that happens is another day in hell for thousands of slaves."